Counterhold the crankshaft balancer. The belt has to be installed for this procedure. 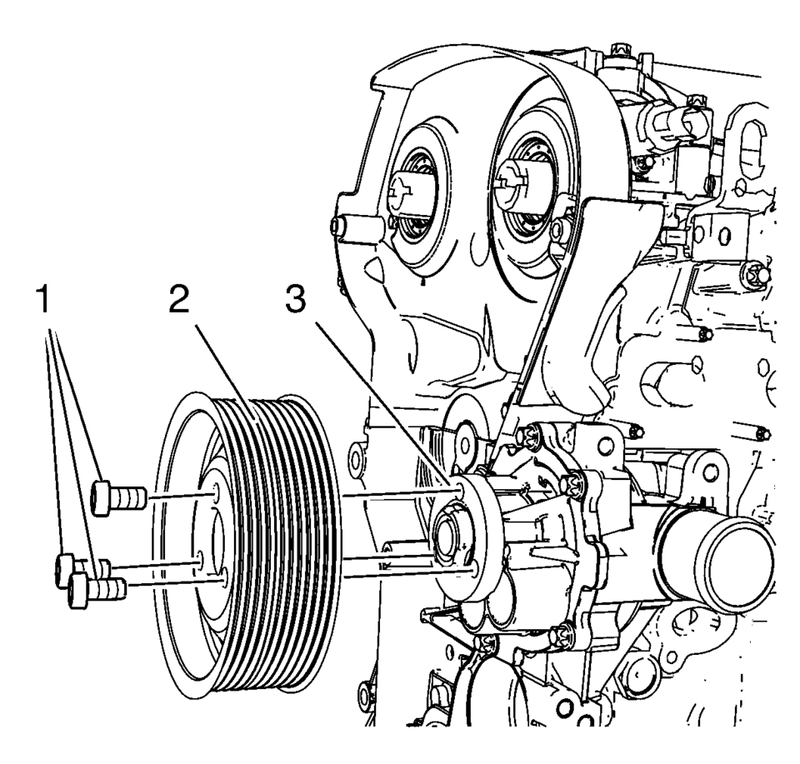 Install the water pump pulley (2) to the water pump (3). Refer to Adhesives, Fluids, Lubricants, and Sealers.